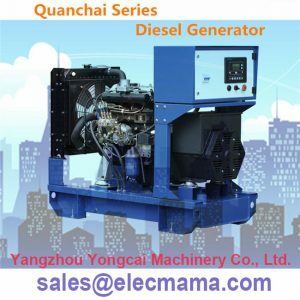 Quanchai Diesel Generators | Yangzhou Yongcai Machinery Co., Ltd.
Quanchai diesel generator is a good power generating equipment with strong and stable power output, worth you have. But how to buy it from a reliable supplier in China? All answers are here. 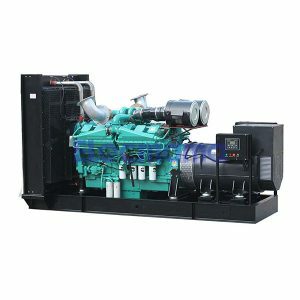 Yangzhou Yongcai Machinery Co., Ltd. professionally exports & distributes Quanchai diesel generator sets, Quanchai diesel engines, generators (alternators), spare parts of Quanchai diesel gensets, spare parts of Quanchai diesel engines, spare parts of generators (alternators) for our dear customers all over the world. 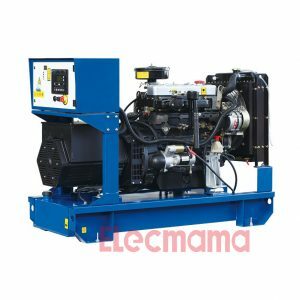 Our Quanchai diesel gensets are often coupled to our brand “Elecmama” brushless synchronous generators. Such a combination emphasizes high quality yet value for money. 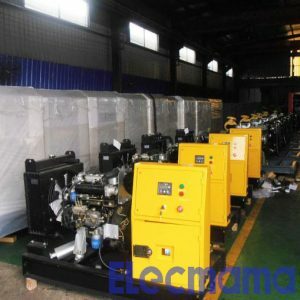 If you need the higher quality generators, such as Stamford, Marathon, Leroy Somer, Mecc Alte, etc. our company still can supply them for you. No misgivings : We have CE certificate as a proof of quality with 12 months warranty period. Anhui Quanchai Group Co., Ltd. is a listed company including research and development, production, management, trade and investment, which processes several subsidiaries, such as Quanchai Engine Company, Tianli Engine Corporations, Tianhe Machinery Enterprise, Jintian Machinery Company and so on. 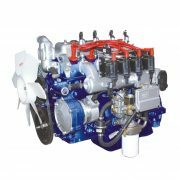 Quanchai Group is the largest R&D and manufacturer on four-cylinder diesel engine in China. The annual production and marketing capabilities of multi-cylinder diesel engines are about 500,000 sets. Relying on positive self-dependent innovation, excellent manufacturing equipment, active marketing development, perfect sales service, stable and reliable product quality, Quanchai has devoted itself to development of domestic internal combustion engine industry all the time. 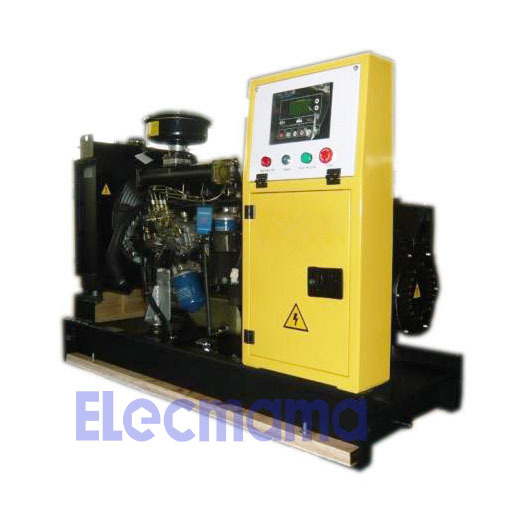 The products the range of power from 20hp to 380hp, are widely used for vehicle, construction machinery, agricultural implement, generator set, fire-fighting pump, etc. In recent years, by adopting high-pressure common rail, electronically controlled VE pump, EUP, exhaust gas recirculation technology, Quanchai had successfully developed 4A 4B 4H States Ⅲ and Ⅴ products, becoming the most extensive and complete enterprise of small and medium-power States Ⅲ, V products on technology line and product line. Please pay a close attention to these technical details as follows. 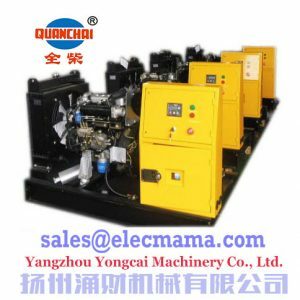 YCM = Yongcai Machinery = Yangzhou Yongcai Machinery Co., Ltd.
Generally speaking, we have a standard supply scope for the buyers of diesel generator set. Please study the following items before you place your order to our company. If you have other requirements, please check our optional supply scope to find the items you are interested into buy. 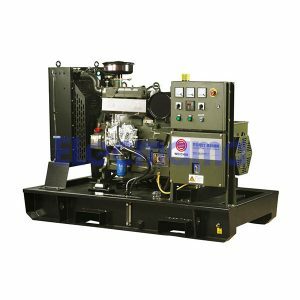 1500 rpm or 1800rpm genuine Quanchai diesel engine with 40℃ radiator manufactured by Anhui Quanchai Group Co., Ltd.
Smart control panel of genset, adopts genuine UK Deepsea DSE 6120, control module for genset with many protecting functions, emergency stop etc. 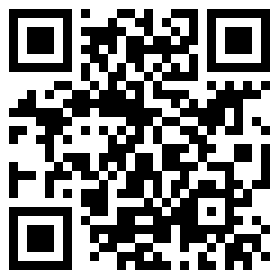 Except for the above physical items in the standard supply scope, we also supply some necessary files to our customers. Please go to check them as follows. If you lost them, we still have backup files in E-version for remedial measures. 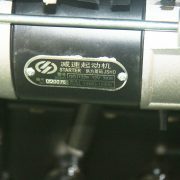 Standard speed governor of diesel engine is mechanical type. 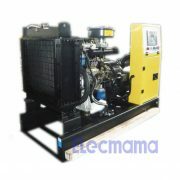 But Quanchai diesel engine with electronic speed governor is optional. 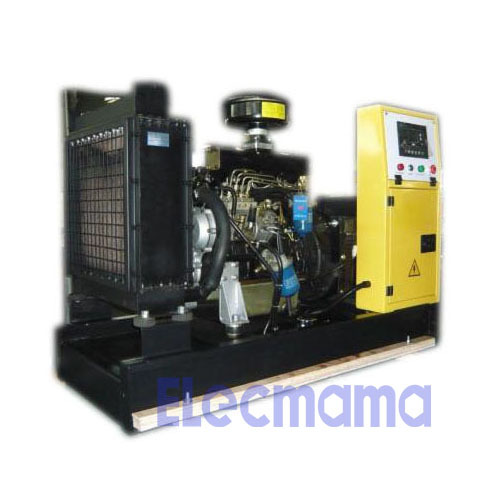 External fuel tank separated with genset is optional, Our fuel tank capacity can be 1000L, 1500L, 2000L, 3000L. 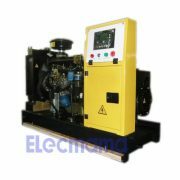 Our generators are produced in strict accordance with ISO9001 quality management system requirement, in line with International standard IEC34-1 and domestic standard GB755 etc. So we can be fully confident of a long warranty time for our dear customers, 12 months or 1000 running hours (whichever comes firstly), calculated by B/L date. In gurantee period, we will be fully responsible for quality problem, and offer free service. In the case of faulty products, we shall eliminate the errors in 24 hour, and propose solution. Even if the damage is caused by customer’s misoperation, beyond our guarantee range, we still will provide necessary assistances in order to solve the problems for our customer. 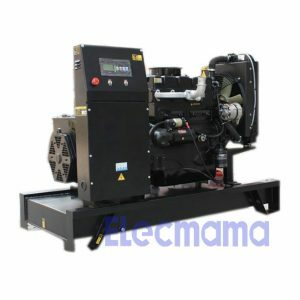 As we all know, the Elecmama brushless generator has few breakdowns within the warranty time. Even if broke down after the warranty time, most situation is the malfunction from AVR (automatic voltage regulator). Just buy a new AVR to replace the old one. 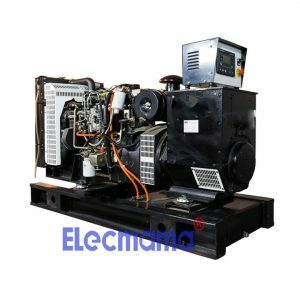 In this case, if you finds that your generator is still out of work, we often feel it is time for you to buy a new generator at this very moment. Smart control panel of genset, adopts genuine UK Deepsea DSE 6120, control module for genset with many protecting functions, emergency stop etc. 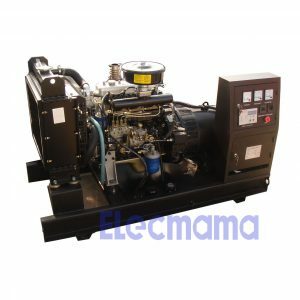 If you need to remote control our Quanchai diesel generator, we will adopt UK Deepsea DSE 6120MK2 + DSE890 for diesel genset. DSEWebNet® – Advanced Communications Solution. DSEWebNet® is a global web based real-time control and monitoring solution for DSE control modules. It has been developed to support single and multi-set systems using a range of devices. The software includes mapping with static locations, real time instrumentation & control, event log tables and automatic system alerts. These can be sent to multiple users via email and SMS. The software can be viewed using laptop, desktop, tablet and smart phone devices. 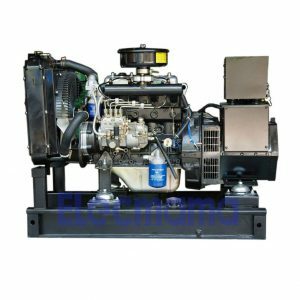 After you buy diesel generator from our company, sooner or later you will replace spare parts for genset maintenance someday in the future. Here we can tell you main spare parts in advance. 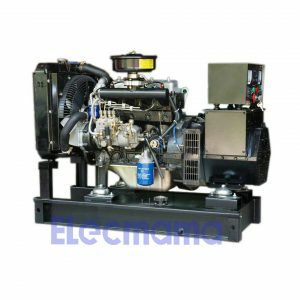 The spare parts of our Quanchai diesel generators mainly include spare parts of Quanchai diesel engine, spare parts of generator, spare parts of Quanchai diesel genset. air filter, fuel filter, oil filter, water pump, engine alternator, electric starter motor for engine, V-belt for water tank (radiator), cylinder head gasket, engine overhaul gaskets kit, lube oil pump, injector, tube nozzle, injection pump, piston, piston rings, piston pin, cylinder lines, connecting rod, connecting rod bearings, crankshaft, crankshaft main bearings, main crankshaft front seal, main crankshaft rear seal, oil pressure sensor, water temperature sensor, diesel engine speed sensor, camshaft etc. automatic voltage regulator = AVR, Automatic Voltage Regulator is a quick-wear part. During the warrany time, AVR won’t break down. After warranty, if AVR is out of work. Just buy a new AVR to replace the old AVR. 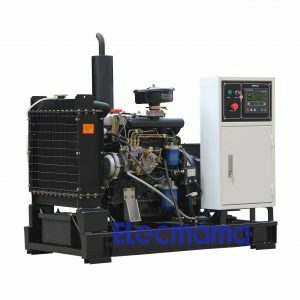 If the customer finds the other part of generator, such as main stator bar assy, main rotor assy, exciter, bearing kit, main terminal board etc. these parts inside of generator body become failure. 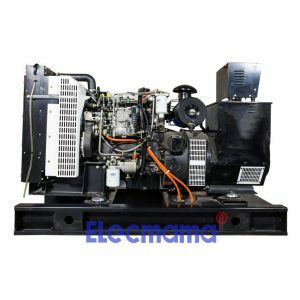 At this time, this generator is not worthy of being repaired, buy a new generator to replace the old generator. 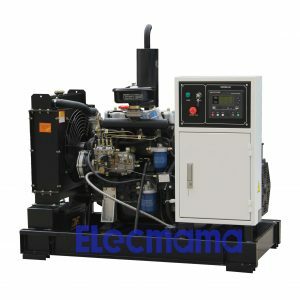 Generally speaking, the main problem of generator is AVR. We don’t suggest the customer to dismantle the whole generator. For the AVR, it is easy to be found. What the customer need to do is to open the lid of generator and then take the old AVR out, install a new AVR over there. 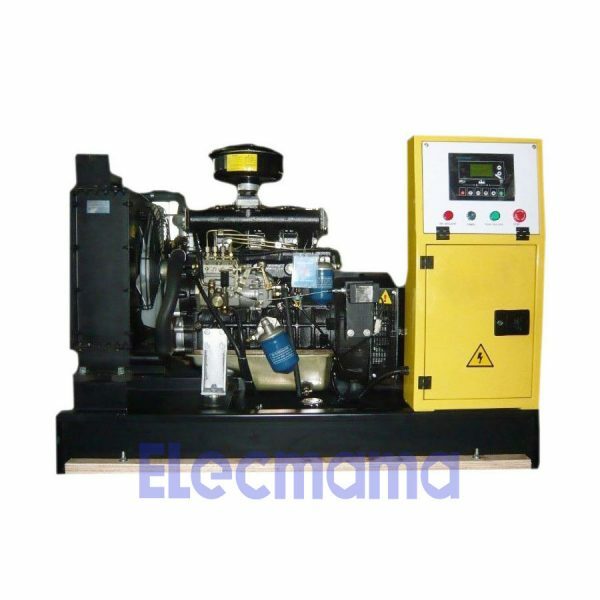 automatic transfer switch, battery charger, battery isolator, battery for genset, controlling module of genset, engine oil drain pump, water jacket heater, single phase sockets, three phase sockets, external fuel tank, automatic refueling pump, oil pressure sensor, water temperature sensor, diesel engine speed sensor, oil drain pipe, oil outlet valve, shock absorber pad, rainproof exhaust cover (rainhat), water tank lid, safety fuse, safety fuse basement, relay, emergency stop button, power lock with 2 keys, stainless steel locks and stainless hinges, yellow color plastic spraying powder, residual current device (RCD), residual current circuit breaker (RCCB), current transformers, air breaker, output cables (three live wires and one zero wire), extension wire for genset control box etc. 1). What is your price terms? CIF, C&I, FOB and FCA, our price terms will be one of them. 2). What is your payment terms? bank TT (telegraphic transfer), 30% deposit bank TT before production, the balance 70% to be paid by bank TT before shipment. Other payment terms can be negotiable with the customer. In your enquiry, we often need the following information to prepare an exact quotation for you. your Quanchai diesel genset is 3 phase genset or single phase genset ? 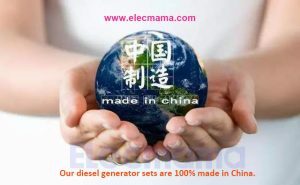 What is voltage of your Quanchai diesel generating set ? 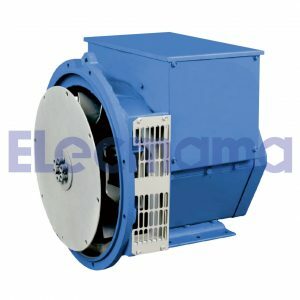 If our default Elecmama brushless generator is not acceptable, do you need Stamford generator or other brand generator ? diesel genset model, for example “YCM8QC-50”, if you can confirm our genset model, pls tell us the genset model. Do you need ATS cabinet for your diesel genset ? Send your enquiry to sales@elecmama.com or directly add Whatsapp +86 189-3624-2835 for a business talk. 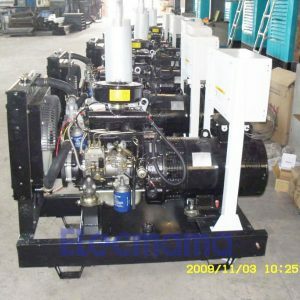 You see, importing Quanchai diesel generator from China is not an easy job involved into many things and details. We feel that the professional thing can be well done by professional company. The original will of our company is to sacrifice all of our industrial experiece for electric power demand from global customers. In fact, all the time our work is always to help the buyer reduce the procurement risk and procurement cost. We are willing to do more during the mutual cooperation between our customers and us. Choose us for the professional service. We will offer you the most professional and the best service. Yangzhou Yongcai Machinery Co., Ltd. can be your supplier. You can be our friend. Through our hard work year after year, plenty of overseas customers from many countries and regions outside of China have been well serviced by ourselves already. They are either distributors or end users, mainly from island countries or coastal states.